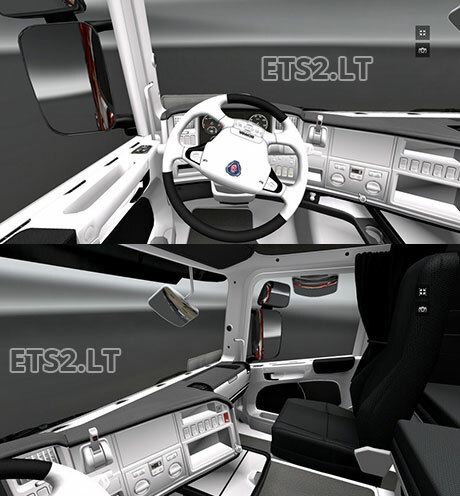 This mod will allow you to change your Scania truck to a black and white interior. During testing our staff noticed that the sunlight coming through the windshield can react negatively to the white interior! This skin should work with all versions of the game and should apply to all Scania trucks in the game. Current time: 04-20-2019, 01:41 AM Powered By MyBB 1.8.20, © 2002-2019 MyBB Group.